Miss Ellie's presence at the expo center, however, provokes mixed reactions from exhibitors she hasn't seen in years, including some outright animosity. The following day Melanie learns that Miss Ellie has suffered a fatal accident while exercising her dogs. Aunt Peg, however, suspects foul play. Wishing to avoid any scandal, Miss Ellie's pedigreed family prefers to let sleeping dogs lie, but as Melanie begins to sniff around, she discovers Miss Ellie had many secrets, both in the dog show world and amongst her Kentucky kin . 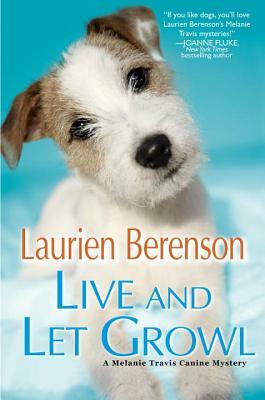 . .
Laurien Berenson is an Agatha and Macavity nominee, winner of the Romantic Times Reviewers' Choice Award, and four-time winner of the Maxwell Award, presented by the Dog Writers Association of America. She and her husband live on a farm in Kentucky surrounded by dogs and horses. Readers can visit her website at: www.LaurienBerenson.com.